Other than the VA Home Loan, the Rural Housing Loan backed by the USDA is one of the best programs in the nation. While VA loans are a great benefit for our Veterans, the Rural Housing program is not far behind. With more competitive interest rates, no money down and low mortgage insurance, the Rural Housing Loan is a great choice. Given the many nuances of the USDA program, we’ve done our best to give you a high-level overview of some of the features as well as outlining who may qualify. Unlike most other programs, the USDA Rural Housing loan doesn’t require a down payment. FHA loans require a minimum of 3.5% down and Conventional loans require 3-5% down. If you would like to put money down, you are still able to do that. Putting money down means that you’re borrowing less money and therefore would have a lower monthly payment. But one of the primary benefits is the no down payment option, which does allow more borrowers to qualify and ensure that you keep as much cash in your pocket for items such as moving expenses, new furniture, or even some remodeling expenses. Since the Rural Housing Loan is backed by the government (US Department of Agriculture), it offers some of the more competitive interest rates in the country. Like FHA and VA loans, each of the government-backed mortgages often come with lower interest rates than a Conventional Mortgage. Additionally, the interest rate on a USDA loan isn’t as credit sensitive. What that means, is that regardless of your credit score you will get a competitive rate. Conventional loans are the most common in the country, but one of the downsides to that program is that the rates fluctuate drastically based on credit score. For example, a borrower with 620 credit may get a rate .750% higher than a borrower with excellent credit. With the Rural Housing loan, a borrower in a similar situation may only get a rate .250% higher than somebody with perfect credit. Rural Housing Loans have some of the lowest monthly mortgage insurance premiums of any loan program. On a USDA loan, the mortgage insurance is called a guarantee fee. It’s calculated annually and then divided by 12 to determine the monthly payment amount. USDA sets the annual guarantee fee at .35% of the base loan amount. So, on a $200,000 loan, the annual mortgage insurance will run $700 per year which broken down monthly would only be $58 added to your payment each month. This reduced mortgage insurance is a huge cost savings compared to the other programs. FHA’s annual mortgage insurance ranges from .8-.85% of the loan amount, whereas Conventional loans can range from .3%-1.5% of the loan amount. Meaning, the Rural Housing Loan will likely save you around $100 per month compared to FHA or Conventional. The annual guarantee fee does stay on for the lifetime of the loan which is similar to FHA loans. Conventional loans do allow for their PMI (private mortgage insurance) to fall off once a homeowner reaches 78% Loan-to-Value. In addition to the annual guarantee fee, the Rural Housing Loan does charge a 1% upfront guarantee fee. This fee can be rolled into the loan and financed over the life of the payments. FHA loans have a similar charge in the amount of 1.75%, and VA loans charge anywhere from 2.15%-3.3% of the loan amount. Again, another substantial savings the USDA Housing Loan offers. While the term Rural Housing Loan may be self-explanatory, not every property qualifies. For a home to be eligible for a USDA Housing Loan it must be in an eligible RURAL area. Eligible properties include single family homes, townhomes, and HUD-approved condos. Homes with inground pools aren’t eligible for USDA financing. Any property that is located within the suburbs of a decent-sized city will likely not be eligible. However, nearly 97% of the country IS eligible. So, one of the first steps is to determine if the property you’re interested in is eligible. As with each of the government-backed programs, the house must also be your primary residence in order to be eligible. Tip: if you don’t have a home in mind, use your current address to see if it’s eligible. The map will outline a ‘yellowish’ area of an ineligible area and most areas outside of that ARE eligible. The Rural Housing Loan program is geared towards family with moderate-to-low income, and because of that your median HOUSEHOLD income cannot exceed 115% of the area median income level. An important note is that the entire household’s income is counted, not just the borrower(s) on the loan. The income limit does change depending on number of dependents, so the size of the household does factor into the equation. Most 1-4 member families need to have a combined annual income of around $80,000 to qualify and in some cities the income threshold goes up to $150,000. USDA Rural Housing Loans technically has no minimum credit score requirements, however borrowers below 640 must have compensating factors. Compensating factors would consist of longevity on the job, accumulated savings (checking, savings, or retirement), or a prior satisfactory prior home ownership to name a few. A middle credit score above 640 however is eligible for an automated approval which offers more flexible underwriting guidelines than a borrower with a lower score. To learn more about the credit score needed for a USDA loan read our article where we go into more detail. Rural Housing Loans do have some of the stricter debt-to-income ratio requirements. In most circumstances, the housing payment cannot equate to more than 29% of the income being used to qualify. All mortgage lenders use gross monthly income when calculating debt-to-income ratios. The overall debt-to-income ratio – which factors the housing payment PLUS any minimum monthly debt obligations, cannot exceed 41% of the income used to qualify for the loan. There are instances where higher debt-to-income ratios are allowed (sometimes up to 47%), however in those scenarios the borrower must have compensating factors such as the ones mentioned above. Because of the income limits and debt-to-income ratio requirement, the USDA does not have a max loan amount on a Rural Housing Loan. The Rural Housing Loan Program is one of the best options for qualifying borrowers. With 100% financing options, low interest rates and exceptionally low mortgage insurance, there are few loan options that offer a lower overall monthly payment and cash investment. The challenge with USDA is that it can be difficult to qualify. 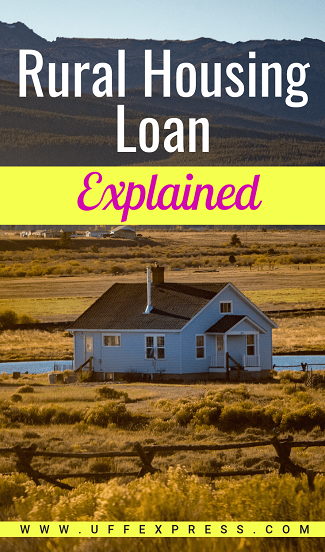 From property location requirements, household income limitations and debt-to-income ratio guidelines, there are a lot of boxes to check off to get a loan approval. If you think you're eligible, you can apply for a USDA Loan online and one of our licensed USDA experts will be glad review things for you.